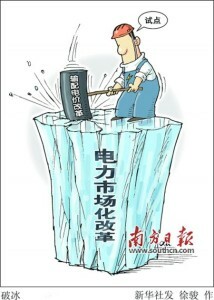 This cartoon from Southern Daily illustrates the power sector market as an iceberg that is being broken up by the hammer of electricity pricing reform. Maoyuan Power Company, registered in Shenzhen, has become the first private power company in the country which can sell electricity (Chinese) to citizens or other companies directly. Shenzhen is the pilot city for China’s electricity pricing reform, and what happens there is expected to the set the tone for national reforms. China is undergoing gradual but sweeping changes in the power sector and the announcement about Maoyuan is in line with expectations that reforms will seek to make the electricity industry landscape more competitive and break up the monopolies that currently dominate the market. 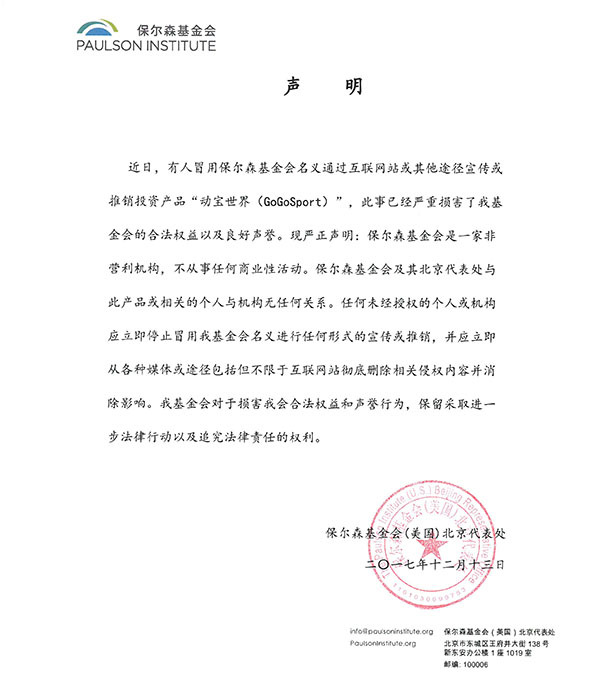 The Ministry of Industry and Information Technology (MIIT) issued a notice (Chinese) calling on provinces to nominate eligible industries for demand-side management (DSM) pilots. Though scant on details, the invitation to all provinces indicates that China is ready to extend DSM beyond the original pilot regions of Beijing, Foshan, Suzhou and Tangshan. The CCAQ Program is working on a policy paper that provides details on why demand response (a part of DSM) is one of the highest reward solutions China can deploy to cut energy use, emissions and costs. A report released by China’s National Energy Administration (NEA) highlighted obstacles to development of utility-connected distributed solar power generation, emphasizing two main issues: barriers with electric grid operators and local governments. The report criticized the Hebei government for delays and for failing to set rules for grid-connection and tax policies related to PV power. China missed its distributed PV installation target for 2015 by over 50% and the problems identified in Hebei are representative of obstacles that are faced nationwide in this area.